Knoxville might be known for its Orange and White football antics but there are still plenty of kid and family friendly things to do. 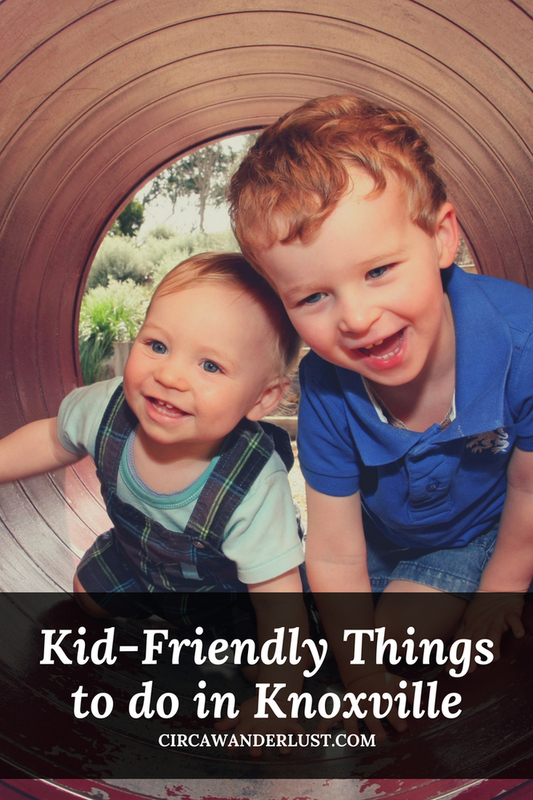 If you’re a local or heading to Knoxville with kids for a vacation, we’ve put together a list of places to visit and activities your little ones are sure to love. 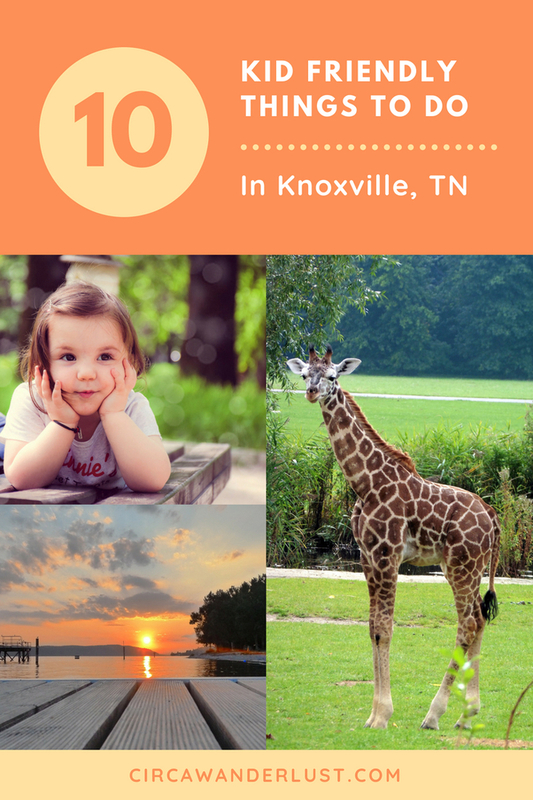 See why Knoxville is a great city for families. This vibrant city is full of things to do! All over Knox county, the public library holds story times through out the week for little ones up to age 5. You can check the local schedule but if there isn’t one happening when you will be visiting, you can have your own story time! Have your little one help you pick a book and spend some time together reading. The Museum of Appalachia is a wonderful living history museum and Smithsonian Affiliate. The museum is 65 acres that recreates Appalachian life in a pioneer mountain farm village. With 35 log cabins, barns, farm animals, gardens, school houses, and churches you can really experience what life was like! Ijams Nature Center is a 315-acre wildlife sanctuary and learning center. Here visitors of all ages can enjoy the day in the great outdoors and hike, bike, or paddle while you connect with nature. There are miles of trails and bikes, canoes, and paddle boards are available to rent on site. BONUS: Check out their Movies Under the Stars series that takes place over summer. Past movies have included E.T. The Extra-Terrestrial, Cabin Fever, The Dark Crystal, and many more! This free museum houses permanent exhibits on Egypt, Archaeology and the Native Peoples of Tennessee, Fossil History of Tennessee, as well as many other special and visiting exhibits. There is even a dinosaur on permanent display outside the building sure to get everyone excited! The Knoxville Museum of Art celebrates East Tennessee artists and their art. With permanent collections like “Recent Art from East Tennessee and Beyond” you will get a dose of history and art. The World’s Fair Park and Sunsphere specifically was built in 1982 for the World’s Fair that year. Head up to the 4th level observation deck for a 360-degree view of the World’s Fair Park, downtown Knoxville, the University of Tennessee, Tennessee River, and the majestic Smoky Mountains. The Muse is a children’s science museum filled with interactive exhibits and play spaces but is really more like a playground you have so much fun. With a STEM focus, Muse offers you the opportunity to have fun and learn. Stop by the planetarium while you’re there! 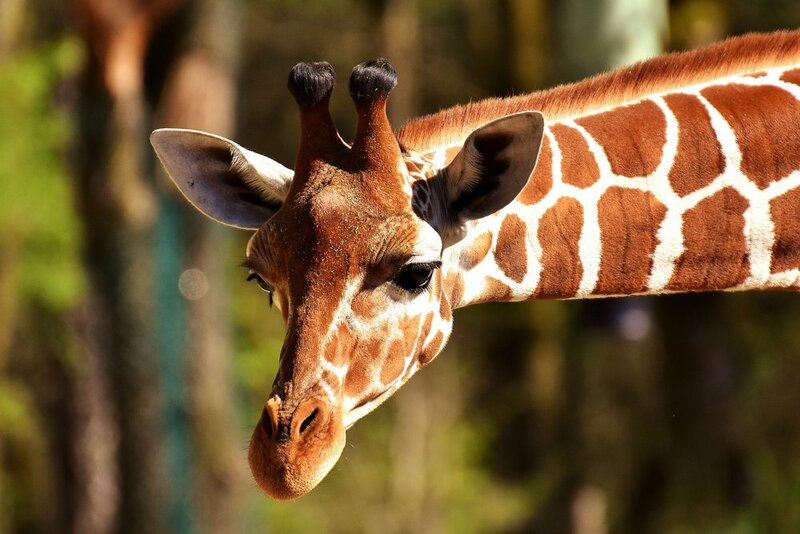 The Knoxville Zoo is home to more than 800 animals from all over the world! 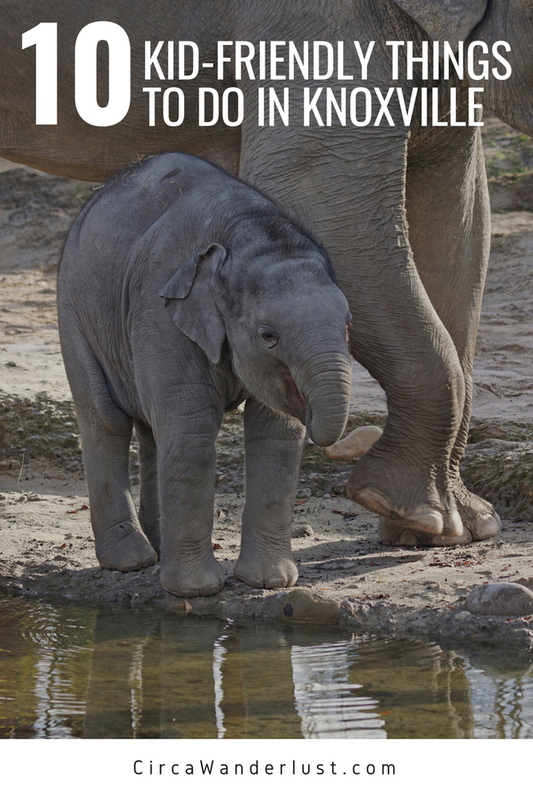 See creatures up close and personal in viewing areas around the park as your little one gets a great wildlife experience. Make sure you check feeding and presentation times for an extra educational element. Many of the animals at the Knoxville Zoo are part of conservation efforts, including the popular Red Pandas. Home of the Manhattan Project, Oak Ridge’s American Museum of Science and Energy offers an exploration station where you can explore light and color, problem solving, static electricity, sound, and robotics. You can even explore the World of an Atom where a cross section model of a nuclear reactor is on display. This unique educational experience is full of non-traditional and interactive exhibits while learning about science, history, and art. Make sure you check out The Rain Forest exhibit that simulates the Amazon rainforest sound effects and waterfall included.